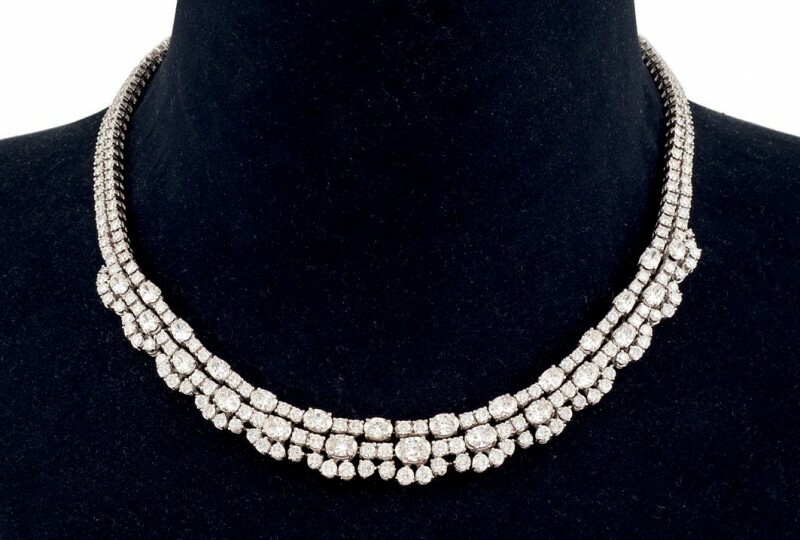 White gold necklace. Photo: Durán Arte y Subastas. Baldomer Galofre (1849-1902) was a Catalan painter who reached great recognition in his homeland. In 1890, one of his works was purchased by the queen Maria Cristina. Galofre’s style was strongly inspired by the Spanish painter Marià Fortuny, but Galofre’s palette was entirely his own. 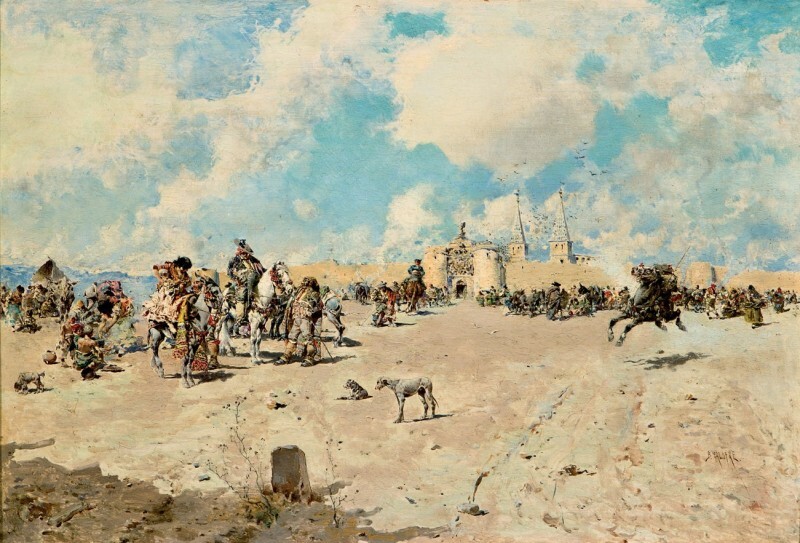 The work up for sale at Durán Arte y Subastas, Caballistas descansando, is an oil on canvas, and the auction house’s experts have estimated it at 15 000 euros. Baldomer Galofre, "Caballistas descansando". Photo: Durán Arte y Subastas. Our next selection is the painting Madonna con Niño dormido, made by a disciple of Il Sassoferrato, from the 17th century. Sassoferrato, (1609-1685) whose real name was Giovanni Battista Salvi was an Italian Baroque painter known for his devout images and Catholic themes. His works has influenced many artists after him, including his own disciples, such as the painter of this Madonna and child piece. The bidding will start at 7000 euros. Disciple of Il Sassoferrato, "Madonna con Niño dormido". Photo: Durán Arte y Subastas. A wide range of women’s Philippe Patek wrist watches are also included in the catalogue. This Caravana is made in 18 karat yellow gold and hour markers in Roman numerals. With its brown leather strap, the watch ref. 5117J-001 is accompanied by its original case and documentation. The auction starts at 7000 euros. 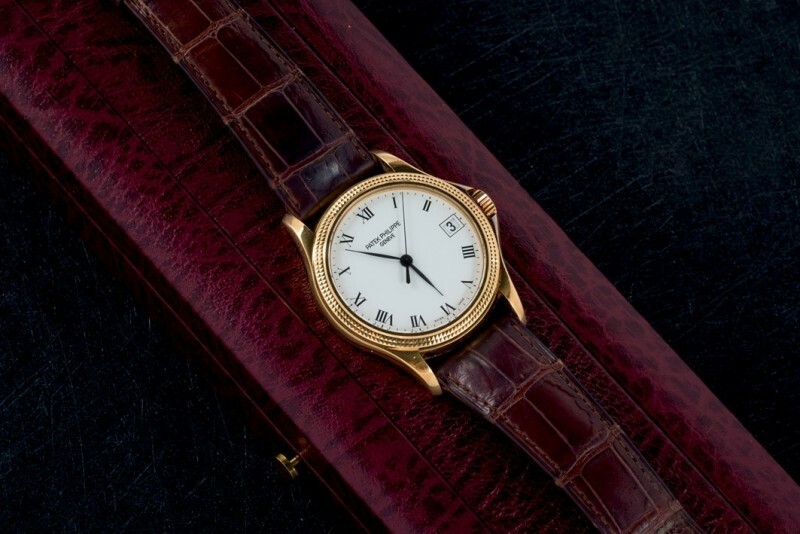 Philippe Patek, model "Calatrava" in 18-carat yellow gold. Photo: Durán Arte y Subastas. Our last, and final top pick is a unique work by Joan Cunill, a Spanish sculptor from Palma who has cherished the use of stainless steel for more than 15 years. His sculptural practice often includes, geometrical shapes and figures, as demonstrated by the pyramidal work featured at Durán Arte y Subastas. 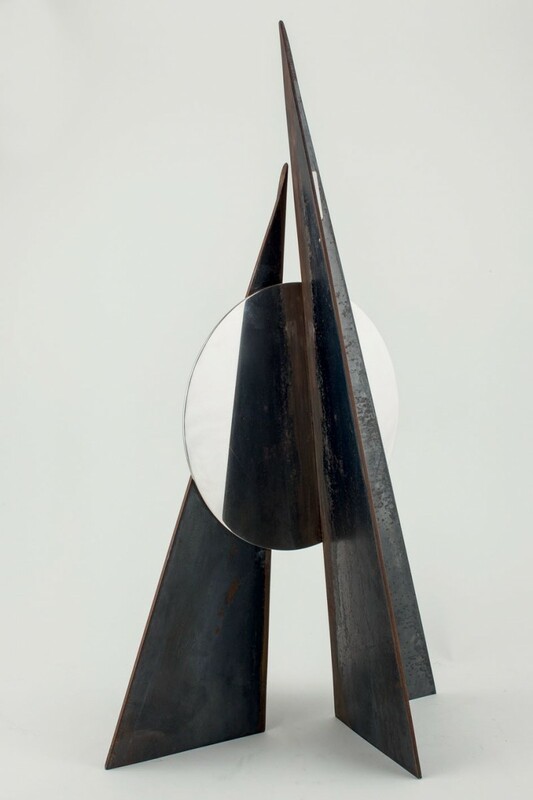 La Pirámide, a steel and glass sculpture is signed at the base and will be presented at the auction house with a starting price of 3000 euros. Joan Cunill, "La Pirámide". Photo: Durán Arte y Subastas. The diverse auction offers much to be explored, whether you’re looking for art, ornaments, antiques or your next statement piece of jewellery. Durán Arte y Subastas’ 558th sale should not be missed. Mark your calendars for 23rd July. Durán Arte y Subastas’ entire collection can be found on Barnebys.